Live with Brooklyn's VÉRITÉ and DC's Shaed. Jazzy electro-pop duo Marian Hill brought their unique vibes to The Social in Orlando, and you can bet that we were there to experience it in person. Front-woman Samantha Gongol's smooth, effortless vocals carried us on a wave of electronic snares, free styled saxophones, and heavy bass beats, and we were totally down for the ride. The Philly two-piece gave fans an awesome set with openers VÉRITÉ and Shaed, and yes, we freaked out. 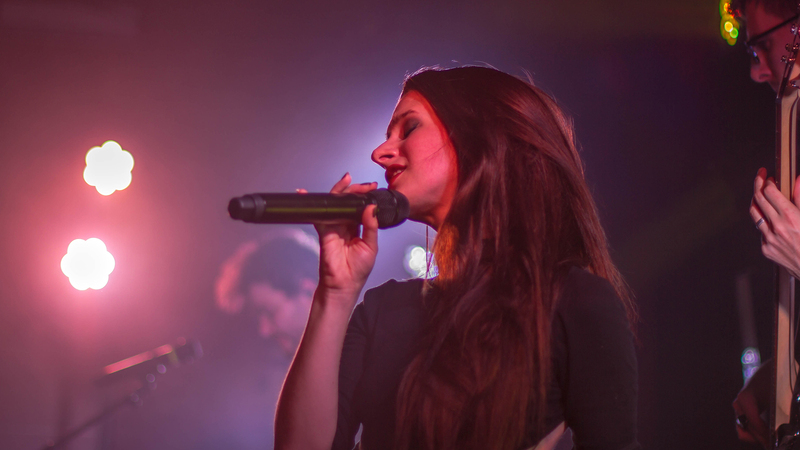 Check out our slideshow of Marian Hill live at The Social to get a taste of what you missed. The band is continuing the tour of their album this fall, so be sure to keep track of when they're coming to a venue near you with Bandsintown!